Cardinal Grove in Woodbridge VA is selling homes now. Stanley Martin and Ryan Homes will be building about 100 single family homes right off Cardinal Rd and Benita Fitzgerald. 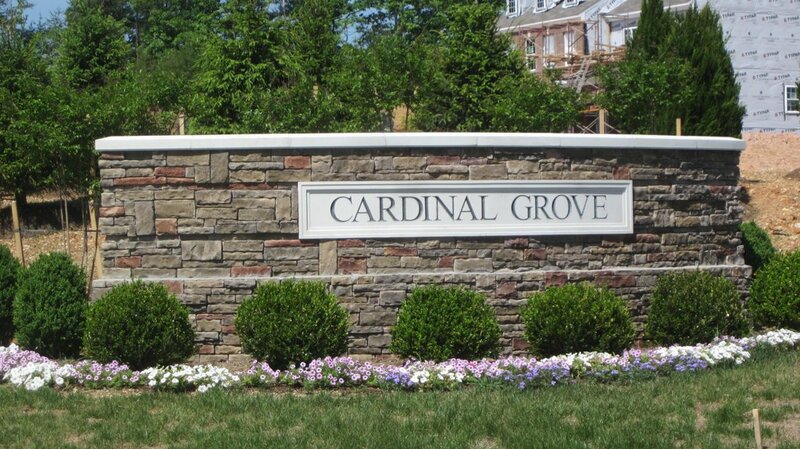 Cardinal Grove is the newest big home community in Woodbridge that started selling. Looking for a single family home close to I95, Stonebridge at Potomac Town Center, Commuter Options, Quantico and Fort Belvoir now you have one additional option. Cardinal Grove. Why Cardinal Grove Woodbridge, VA? Cardinal Grove homes include spacious wooded and cul-de-sac homesites and community amenities that include a clubhouse with fitness center, game room, swimming pool, tennis and scenic community walking trail. Cardinal Grove single family homes are 2,300 to over 5,400 sq. ft. with up to 6 bedrooms and 5 baths with the most desirable features included. Cardinal Grove is located just off of Rt. 1 and Cardinal Drive, close access to I-95 and the Express Lanes, and in close proximity to commuter options offering accessibility to Ft Belvoir, Quantico, and the Pentagon. Stonebridge at Potomac Town Center is less than 2 miles away with a Wegmans, REI, Sport & Health, and more. The Potomac Mills Outlet Mall, Costco, and Ikea are less than 3 miles away. Interested in Homes for Sale in Cardinal Grove Woodbridge, Va? Please see the current listing for Cardinal Grove below and be sure to Contact Claudia Nelson with any inquires or questions.